Best Joint Supplements of 2017 - Forget About Painful Joints! For bodybuilders, athletes and weight lifting enthusiasts having painful joints is a necessary evil. However, sustained joint pain can lead to debilitating injuries that could cause permanent damage to the body. As a result, it is critically important that we protect our body by taking a daily vitamins and joint supplement. Continue reading to learn what company makes the best joint supplement of 2017. This dietary supplement aids in supporting joints and cartilage. Intense workouts can take a toll on the body. Consequently, taking a joint supplement on a daily basis can minimize these potentially devastating problems by preparing your body for years of intense exercise. 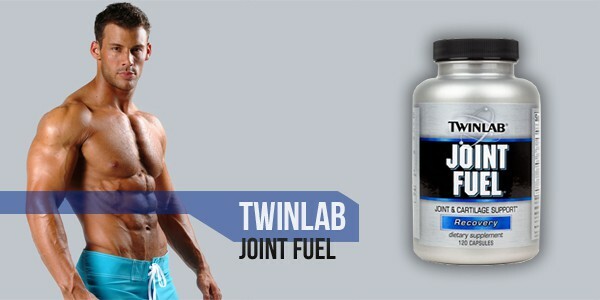 Buyers of the TwinLab Joint Fuel should be prepared that the supplement is expected to be taken 3 times per day for a total of 6 pills. As a result, of the excessive number of servings per day many users have complained of stomach distress from the extra-large pills. The CytoSport Joint Matrix is a dietary supplement that is designed for joints, cartilage and ligaments. The product is made from a powerful formula of glucosamine, chondroitin, hyaluronic acid and more. As a natural supplement, users can rest assured that the ingredients of this product are healthy and effective in minimizing joint pain and offering additional support for problem body parts. Several users have stated that despite initial success and pain free exercising with CytoSport Joint Matrix that continued use resulted in no joint or ligament improvement. 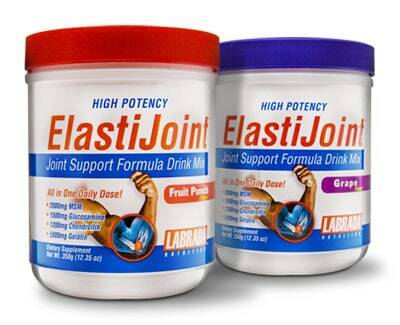 Unlike several of our other joint supplements, Labrada Elasti Joint is taken in powder form as a drink mix. The mixture can be purchased in three flavors: grape, island punch and fruit punch. A benefit of this product is that users do not have to worry about problems or pain associated with swallowing a large pill. Instead, the powder can be mixed in water or milk for a tasty pre-workout treat. The ingredients of the powder include nutrients that help to strengthen damaged joints and provide pain relief to injured body parts. Despite being available in liquid form several users complained that this product was too sweet to drink on a daily basis and was similar to a soda. Ideal for athletes and bodybuilders, this powerful supplement delivers relief to painful joints. Constant weight lifting can have a damaging impact on a person’s body. However, for frequent bodybuilders weightlifting is a way of life and dealing with pain becomes a necessity. 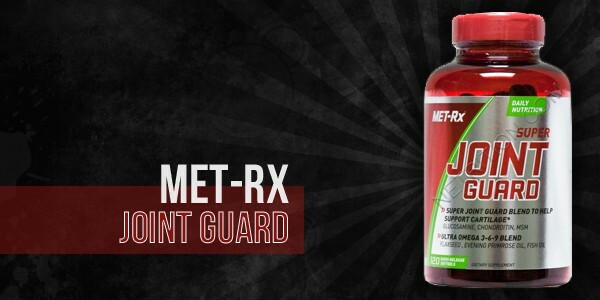 By taking the Met-Rx Super Joint Guard people can be assured of receiving a powerful blend of glucosamine, MSM and chrondoitin to help build cartilage, speed recovery and protect damaged joints. Produced with a soft shell, these pills are easy to swallow and even easier on the stomach to digest. As our top ranked joint supplement in 2017, Universal Nutrition Animal Flex is made from common ingredients found in other products like glucosamine, MSM and chronodoitin. However, in addition to these ingredients our #1 ranked product includes powerful nutrients from a variety of vitamins. The proven formula of ingredients is designed to help cushion joints to prevent further damage from more weightlifting. Furthermore, when taken daily Universal Nutrition Animal Flex helps the body recover faster and with less pain after intense workouts.